My favourite part about road trips is the fact that you can often go beyond the itinerary; there are many wonders hidden at a place that usually goes unnoticed and sometimes these serendipitous encounters be the best moment of your trip. 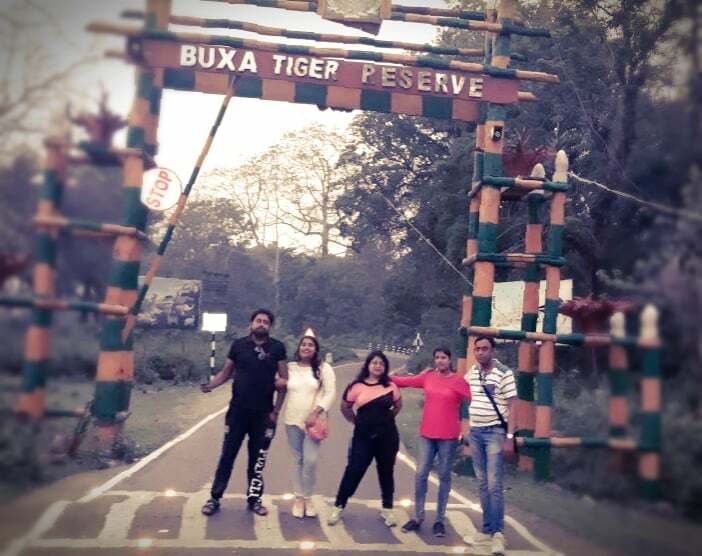 There’s a similar scenic nature trail hidden within the vastness of Buxa Tiger Reserve – seldom people choose to explore it – concluding it as a pilgrims’ pleasure based on its name, the Mahakaal Trek. We weren’t any different in the beginning either! 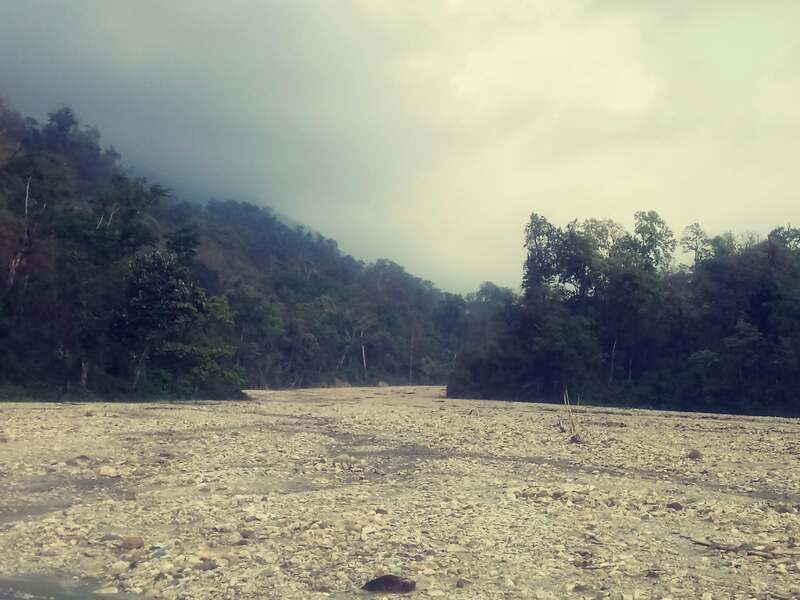 Ever since we crossed the check-post and entered the vast National Park, our eyes were eagerly screening the lined up dense forest on either side of the road for some wilderness around as we drove through. We didn’t spot any animal, not even a silhouette at the far end into the thick leafy bushy awning, but the drive was quite a pacifier amidst the pristine sprawl of nature. The first spot we halted was a dried up mountain river, with ankle to knee deep rills here and there. 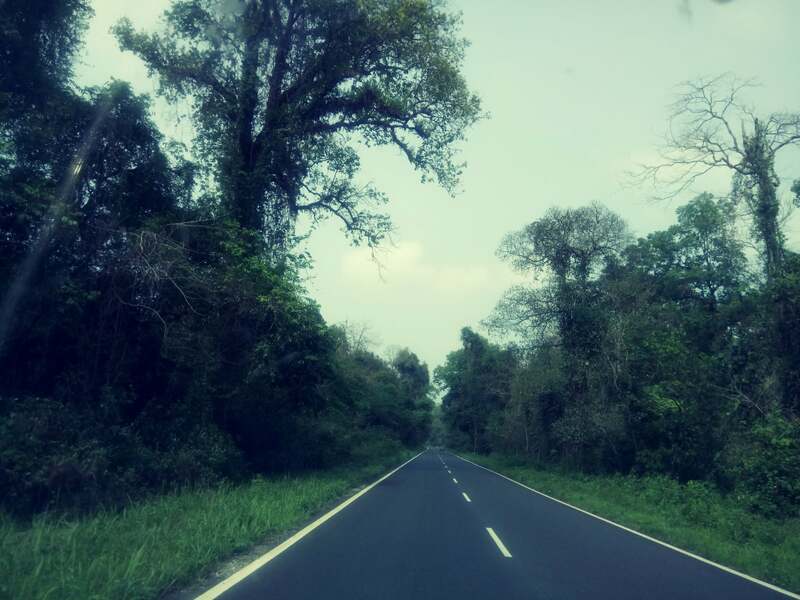 It’s where we were supposed to click pictures, as stopping on the road fringed with forest wasn’t allowed and we weren’t keen on taking the euphoria of adventure to the extent of real-time troubles with the wild inhabitants in there. Across the white and grey pebbled river floor, the far side of the river went up-hill. Taking a quick glance around I realised the expansive watercourse is lined with small densely forested hills in every direction… the scene seemed alluring… the beckon to get to the other side was hard to resist. You need a guide to get to spots that were on the far side of the river or the watchtowers within the National Park. The towers do not guarantee seeing any Tiger and the noon-time was pretty convincing that we won’t get a glimpse of even any less feral animals like deer at this hour…. hence, off to the other side of the river. That’s when we got to know about the Mahakaal trek while weighing our options. 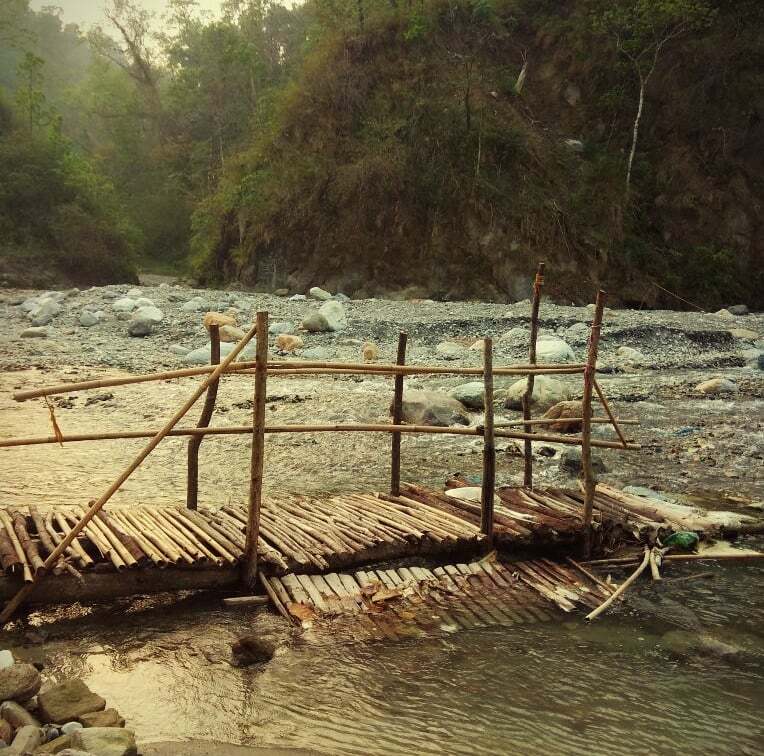 Driving 5 km towards to upper course on the pebbled river-bed, crossing two couple-of-inches deep water-filled trenches and a bamboo footbridge begins the Nature Trails of Mahakaal. The route was marked with green or red colour circles with hand marks on big boulder rocks in a very indigenous way. The ride was bumpy; nonetheless, we enjoyed it thoroughly. 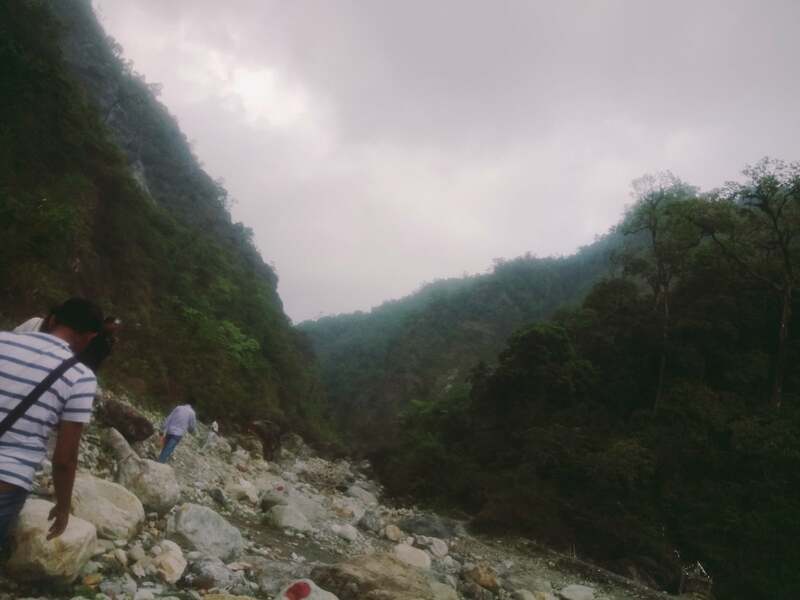 There are basically two treks: one short, about 15 minutes climb with a waterfall at the top and the other about an hour’s struggle through the rocky steeply ascending path. We choose the easy one… knowing none of us could make it to the other one. 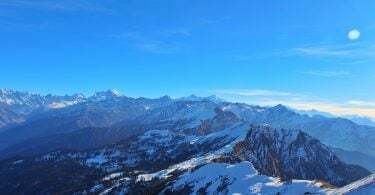 As per the guide, not only the other one is of an intermediate level trek through the rocky terrain of a steeper climb but most importantly needs to be set out early to make sure you return just in time, as the trail becomes more treacherous with fading light. As we strolled through on foot to reach the bamboo bridge, the rumbling only got louder and louder. 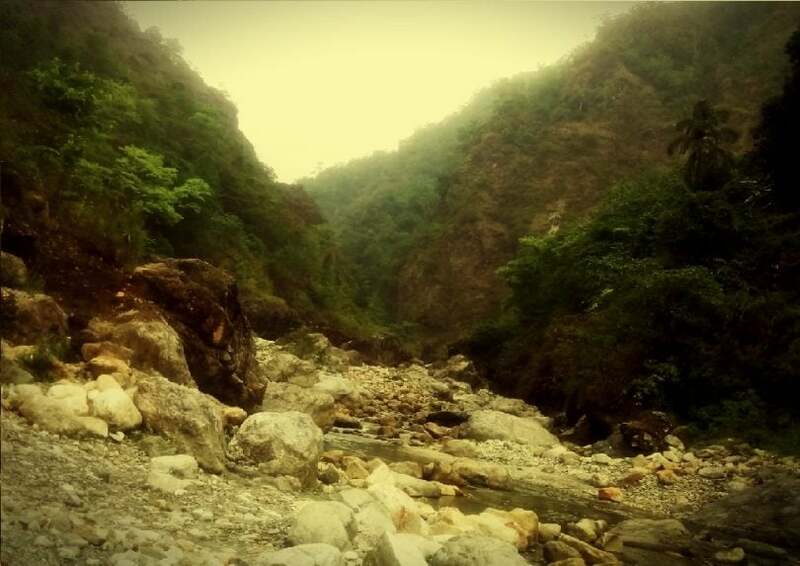 The river here wasn’t totally dry, forming gorges between the overlapping forest-laced hills on either side. Followed by a climb with initially concrete steps that soon turned into natural rocks shaped to steps and landings of soiled paths… fenced off by mountain trees of all sizes… all the way up to the waterfall. Though it wasn’t a massive one, the single outpouring was cool and rejuvenating; we all drenched our hands and sprinkled some of it on the face before climbing back, down the same trail. 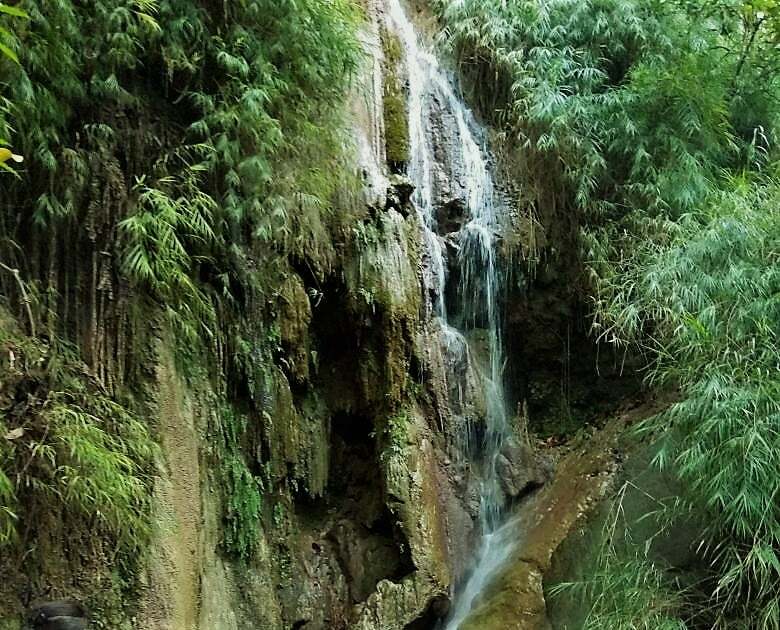 This charismatic Nature cove is only 15 km away from Alipur Duar Junction or you can travel there by car if you’ve been visiting Dooars, just the way we did. It might not be serendipitous anymore, now that you know much about the trek… but it’ll still be an awesome adventure trail to explore, especially if you’re out with people who are synergistic to your age and spirit.